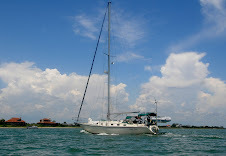 We left Antigua and sailed the 45 nautical miles south to Guadeloupe. We had winds 13-15 and then squalls as we got closer to Guadeloupe. We saw gusts to 21 but it wasn't too bad since we adjusted our sail set early. 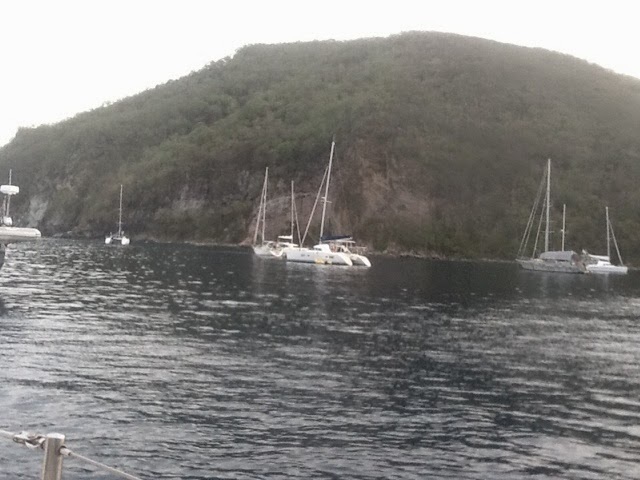 We anchored in Deshaies.